Successful startups — A matter of the right location? Successful startups -- A matter of the right location? "Location matters to startups because the people who provide them with the resources they need to grow–revenues, talent, capital, advice–are more than producers of code or PowerPoint decks," says Cohan. "Pick the right place and the startup gets the resources that it needs to grow. Pick the wrong location to run the company and it withers in the struggle to get those resources." Peter S. Cohan is a lecturer of Strategy at Babson College and one of the world's leading authorities on regional startup ecosystems. Starting in 2012, he created and led Startup Strategy courses that explore four regional startup ecosystems–Hong Kong/Singapore, Israel, Paris, and Spain/Portugal. His courses are based on an original framework for evaluating why a few cities host most startup creation and the rest fail to do so. 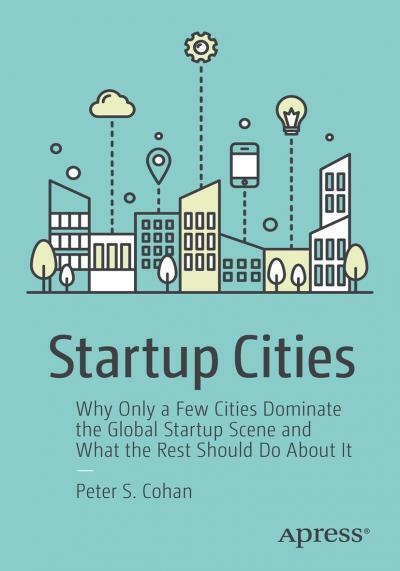 In running these courses, Cohan has built a network of local policymakers, investors, entrepreneurs, and professors from which he draws practical insights for what distinguishes successful Startup Commons from their peers.